Source of title proper: Title based on contents of image. Photograph shows a freighter moored at Pier "A" Section 2. View is looking west from the third CPR station. 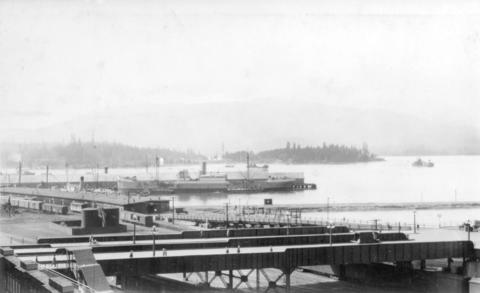 Image includes the Granville St. viaduct, freight shed, railcars, and Stanley Park.